​You lookin' at me? 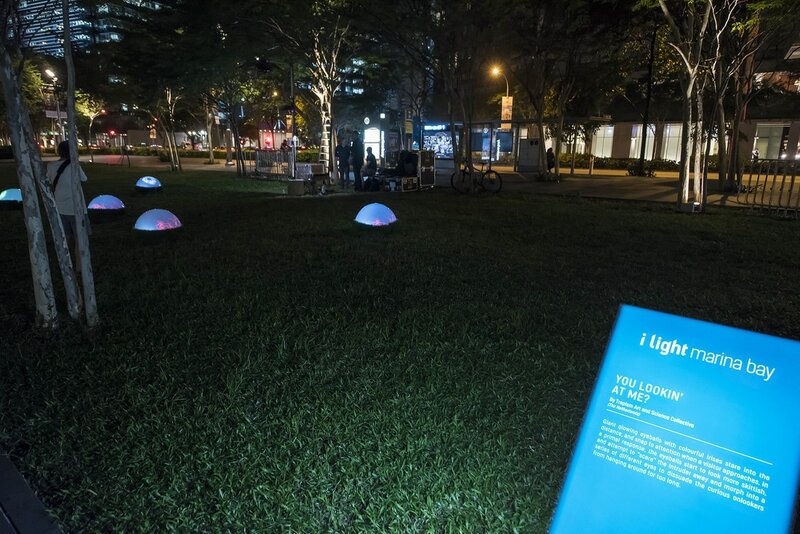 is an interactive light installation first shown at the Amsterdam Light Festival 2016 - 2017. 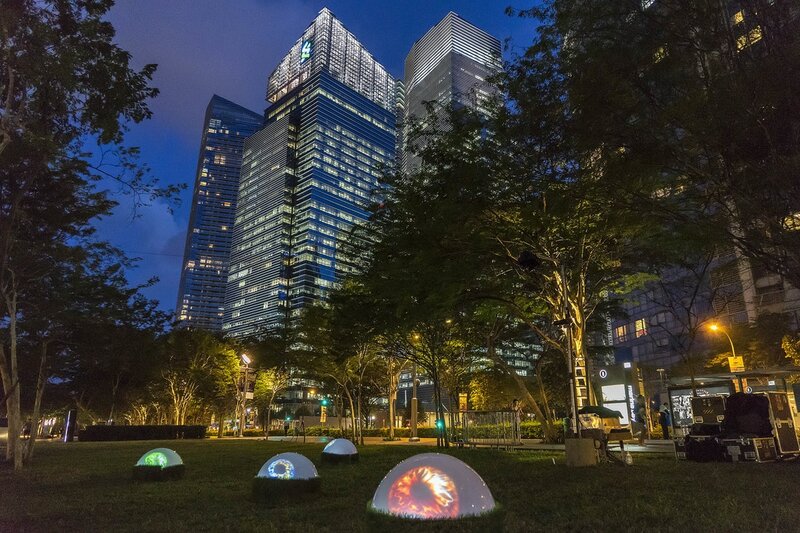 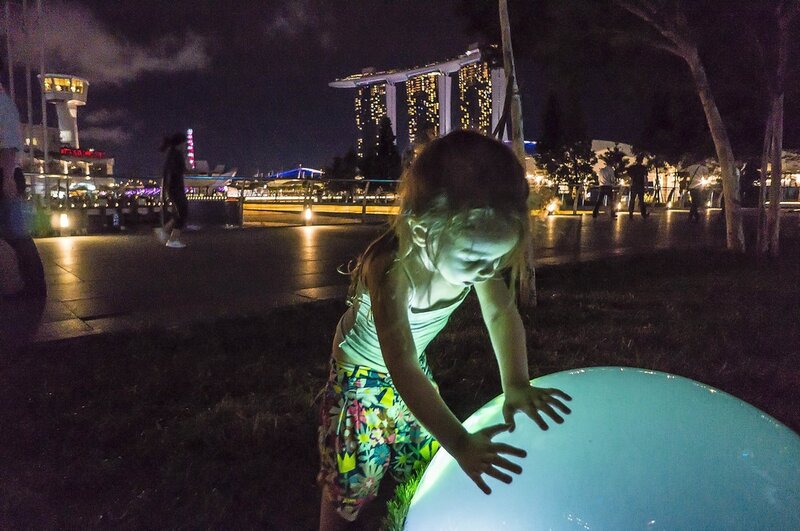 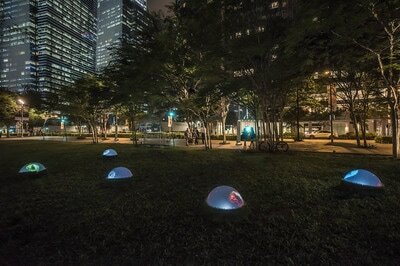 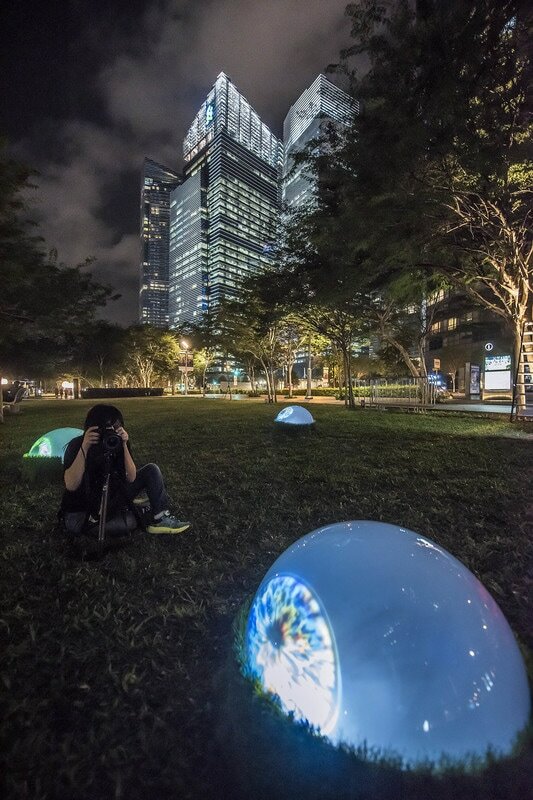 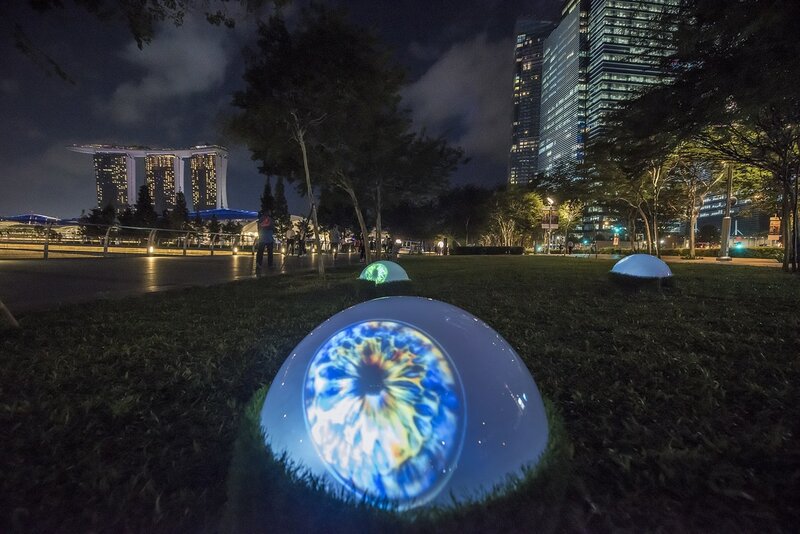 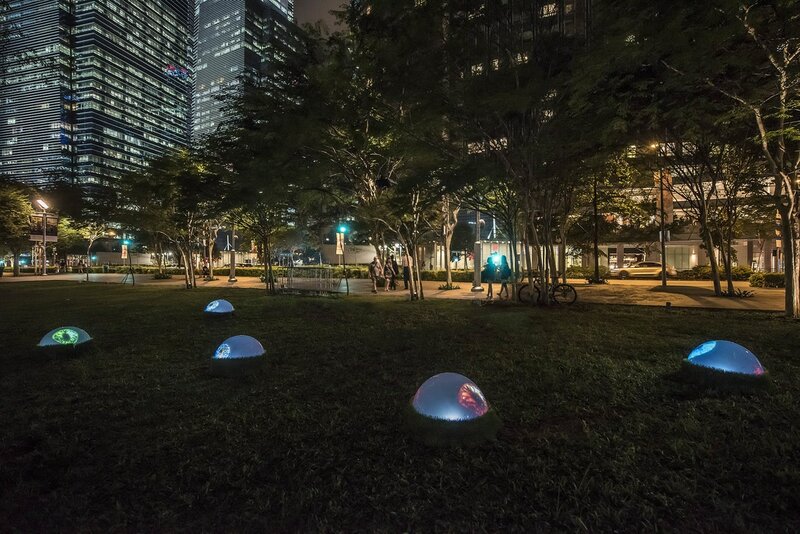 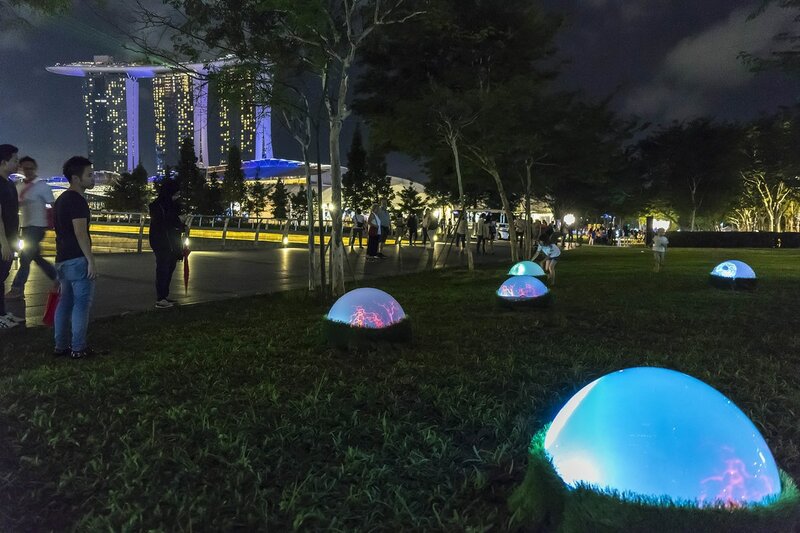 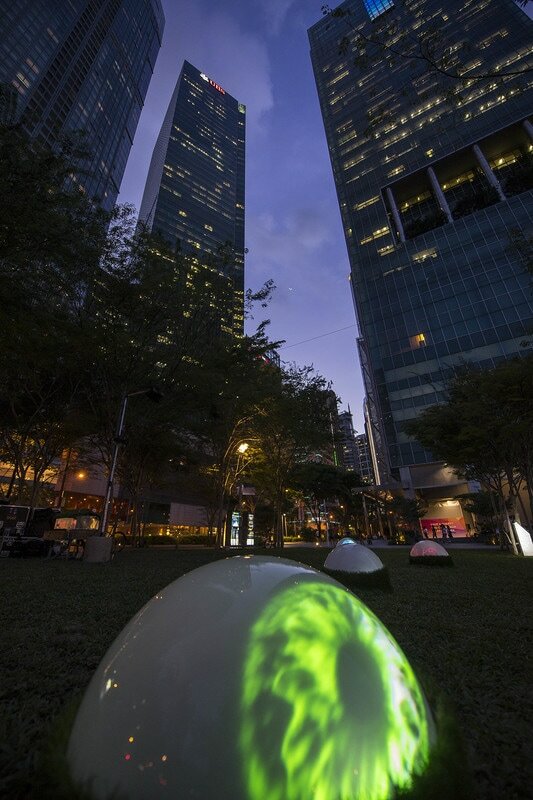 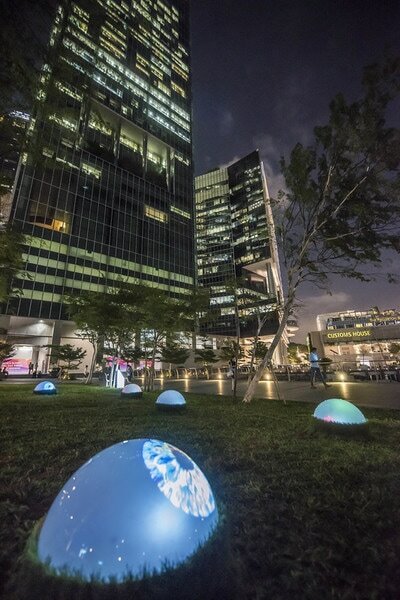 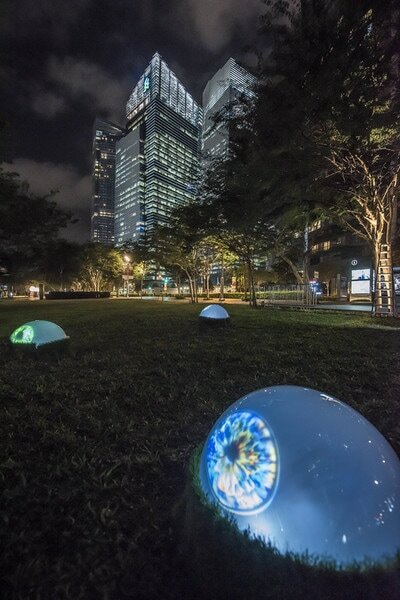 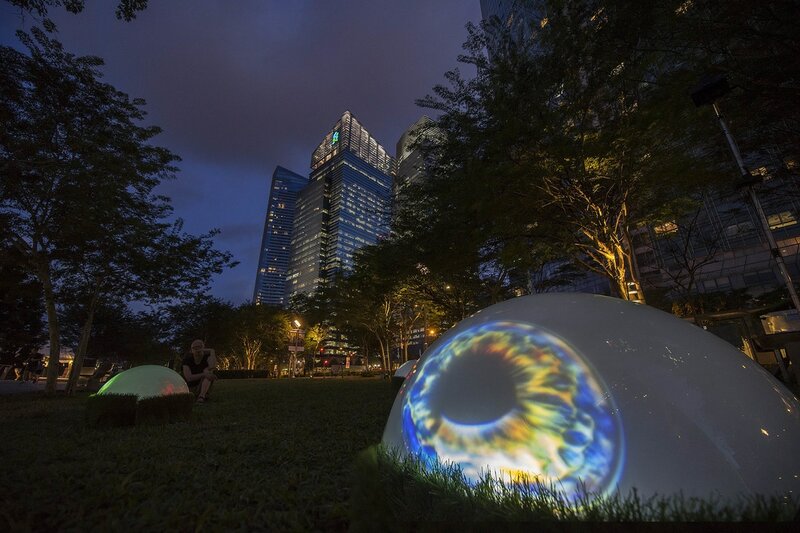 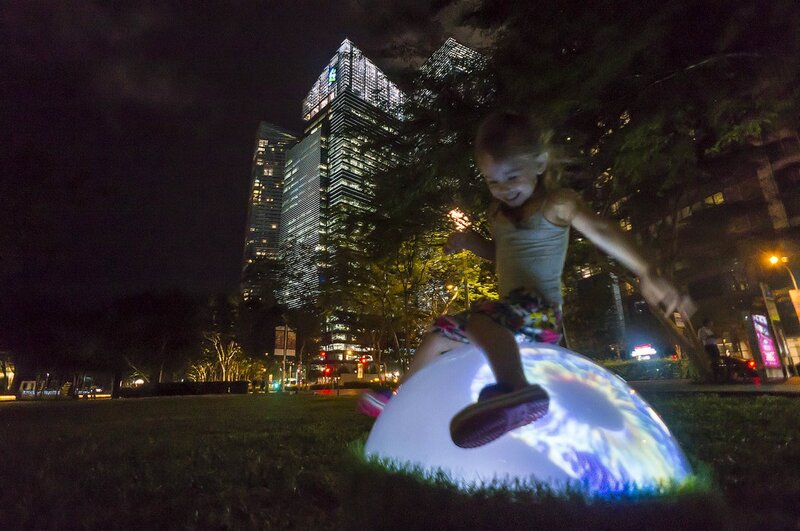 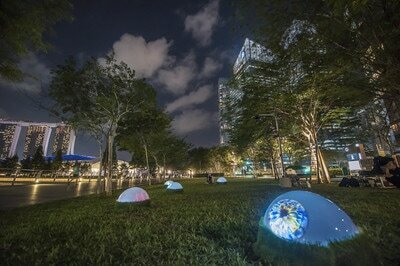 The project was also selected for the I Light Marina Bay, the 2017 light Festival in Singapore. It was seen by some 800.000 visitors. 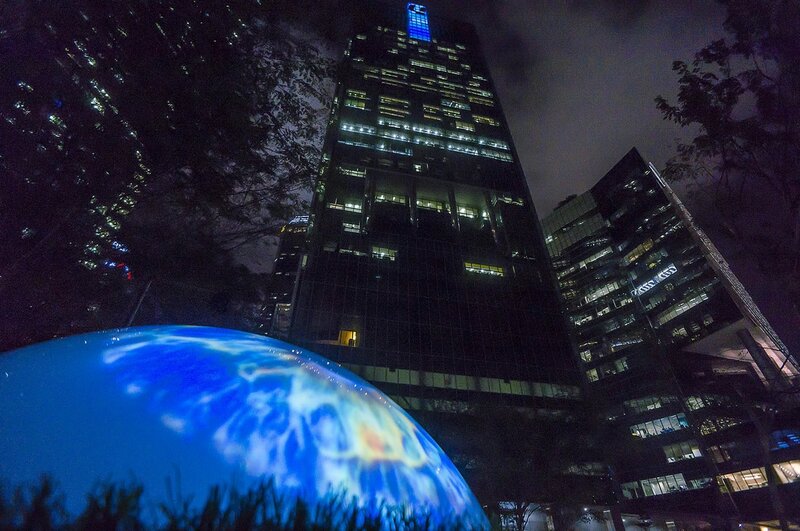 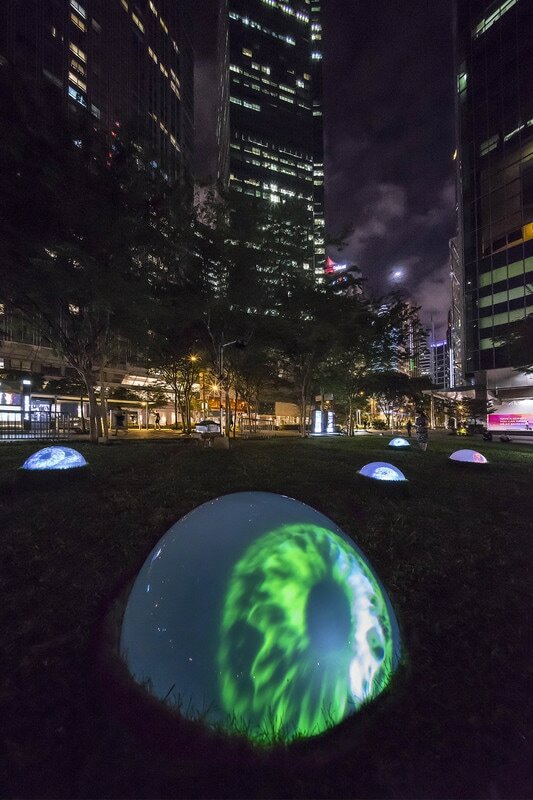 The installation was also selected for the largest light festival of the world; Vivid Sydney 2017. Big interactive and glaring eyes are scattered in the grass.